Welcome to another adventure in the multiverse. This week is one of the biggest week of the year, if you love comic books and movies. We are talking of course about San Diego Comic Con. 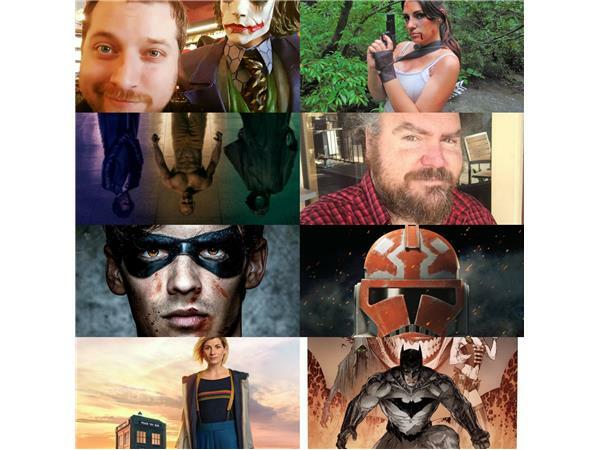 For the first part of this two-parter, join us as we discuss Batman/Joker: Deadly Duo, Titans, Doctor Who, Star Wars: The Clone Wars, Jon Schnepp Memorial, & Glass. Thanks to our guests for this adventure: Kira Scarlett & Joshua Howell. Make sure you guys check out their stuff as well. Music by Logan McErloy & Shawn Davis. Suicide Prevention Resources: Click here. Click here for all our social media links as well.